CAO and company representatives tour the community area of Kintinian, which neighbors the Siguiri gold mine expansion site in Guinea, October 2017 (CAO). 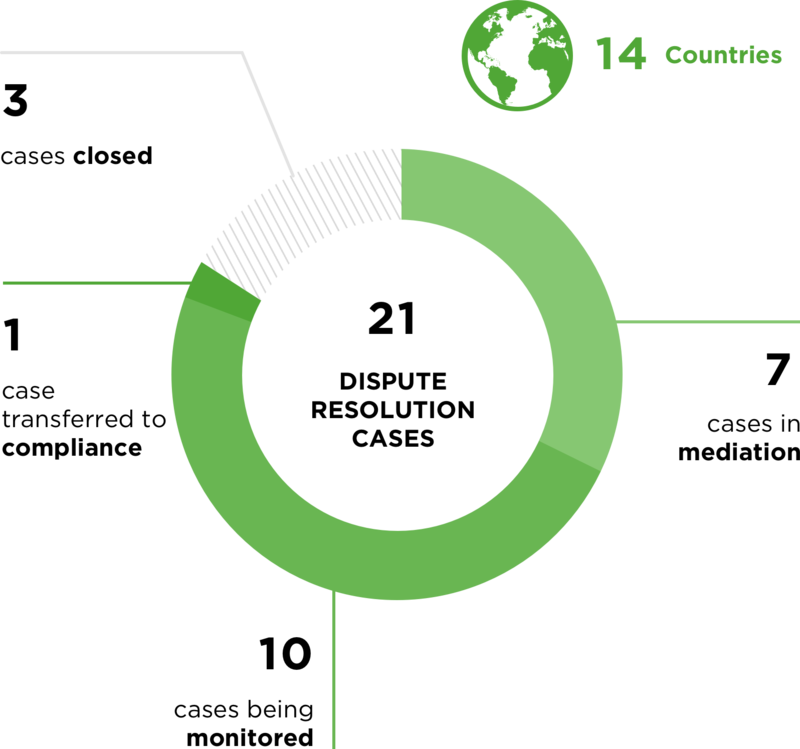 This year, CAO handled 55 cases in 32 countries, of which 14 were new eligible complaints. At the end of the fiscal year, 7 cases were in assessment, 17 were in dispute resolution, 24 were in compliance, and 7 were closed. Full details on these cases are available on CAO’s website. CAO received 28 new complaints this year, of which 14 were eligible for assessment. CAO found 14 complaints ineligible because they did not relate to IFC/MIGA projects or raise environmental and social issues. Note: This count includes 4 complaints received late in FY2017 for which an eligibility decision was made in FY2018. 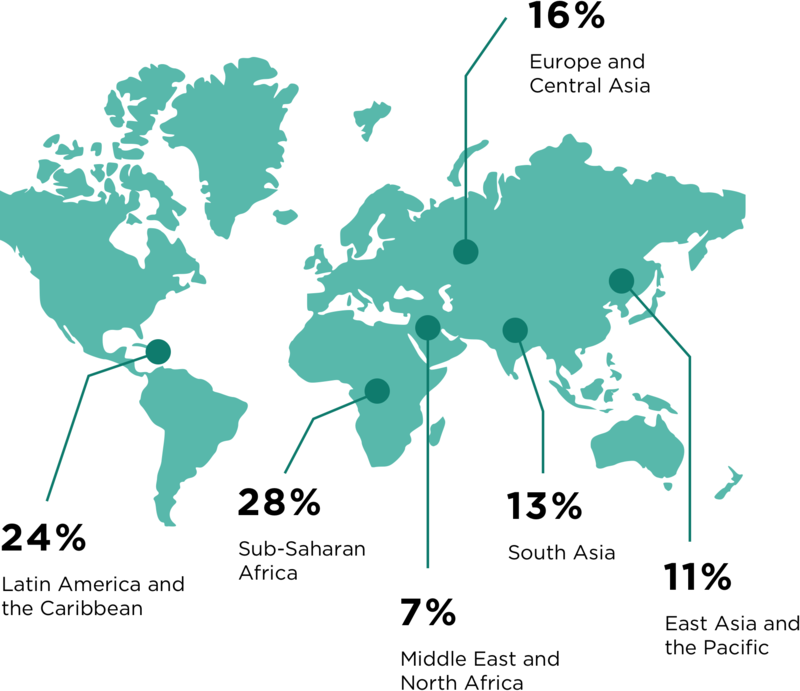 IFC projects account for the majority of CAO’s caseload, with a small percentage pertaining to high profile IFC/MIGA projects, such as the Bujagali hydropower plant in Uganda and Oyu Tolgoi mine in Mongolia. A significant share of complainants access CAO without the assistance of civil society organizations (CSOs). Of FY2018 cases, 40 percent were filed directly by individuals and community members. Note: Chart shows frequency that each stakeholder group is a complainant in FY18 cases. The numbers do not add up to 100 percent because some complaints involve multiple different complainant groups. For the first time, cases in Sub-Saharan Africa accounted for the largest share of CAO’s caseload at 28 percent, superseding Latin America, which has traditionally generated the majority of CAO cases. Infrastructure projects account for the largest share of CAO’s caseload at 29 percent. 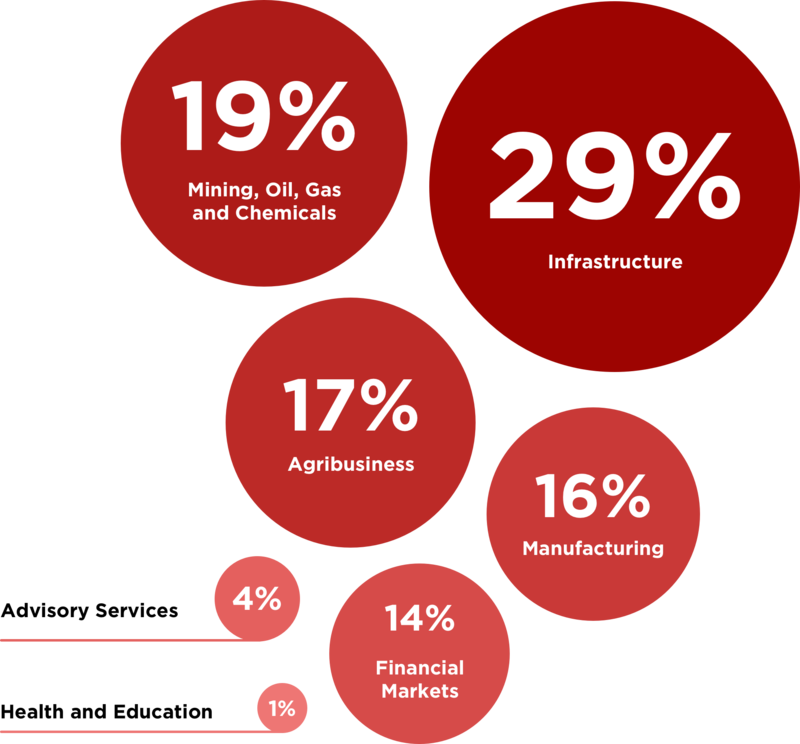 Together with extractives and agribusiness, these sectors are also dominant in cases related to IFC financial intermediary sub-projects. 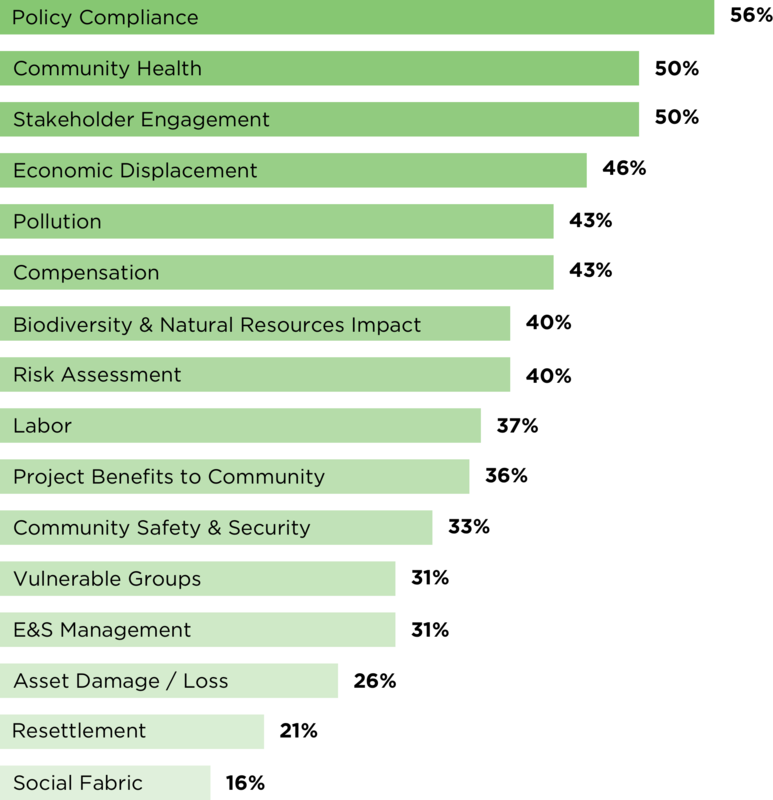 In over half of all cases, complainants raise concerns about environmental and social policy compliance, followed by community health and stakeholder engagement in 50 percent of cases. Note: Complaints typically include multiple environmental and social (E&S) issues. Percentages therefore denote the frequency that each issue was raised in the FY2018 caseload. 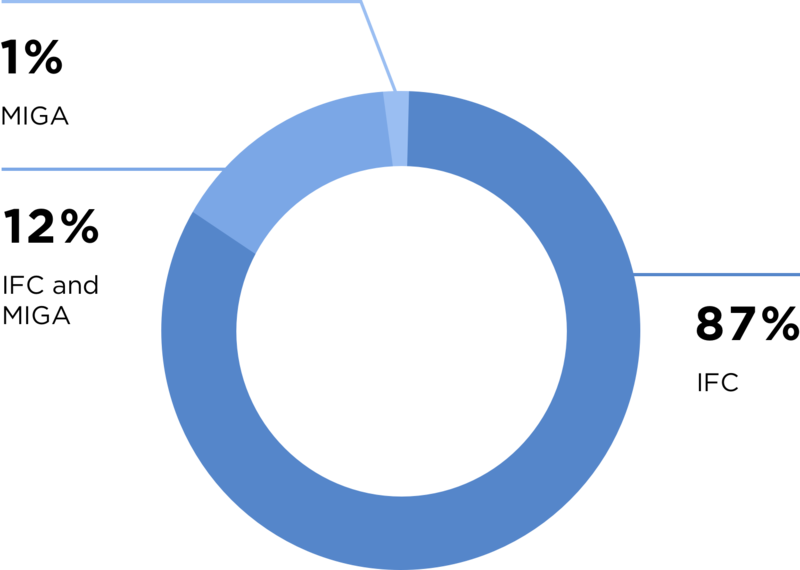 After a complaint is found eligible, the assessment phase helps CAO gain a better understanding of the issues and enables the parties to determine whether to pursue a dispute resolution or compliance process to address the complaint. If dispute resolution is selected, CAO helps the parties to address the issues collaboratively through dialogue. If a case goes to compliance and an investigation is merited, CAO independently verifies IFC/MIGA due diligence at the project level. More information about how CAO works and case outcomes this year are summarized below. A complete list of CAO’s FY2018 cases is available here. At the end of the fiscal year, 57 percent of CAO cases were in monitoring or closed, and 43 percent were in active assessment, dispute resolution, or compliance processes. 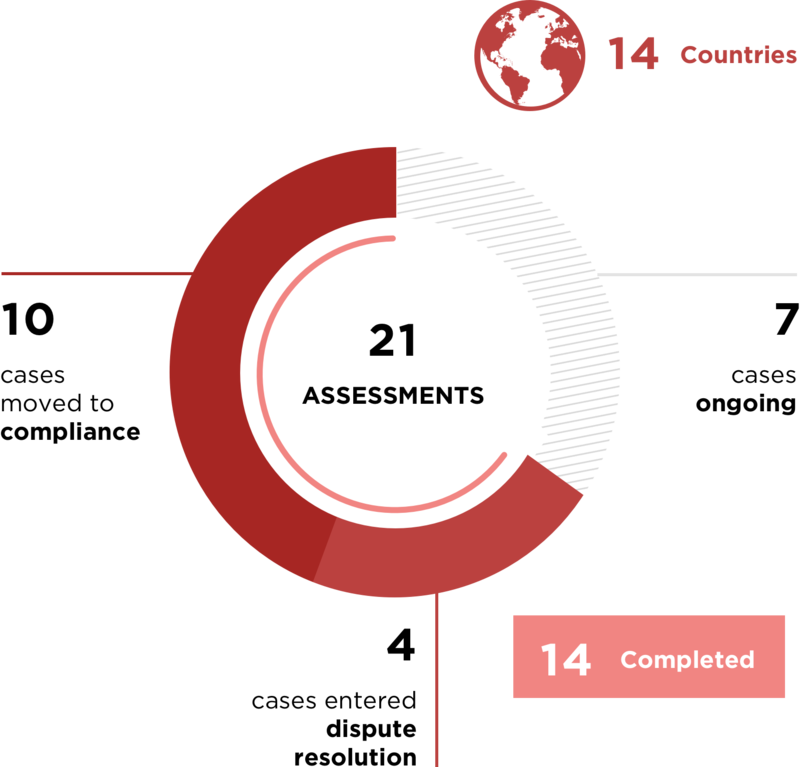 CAO conducted 21 assessments in 14 countries this year. 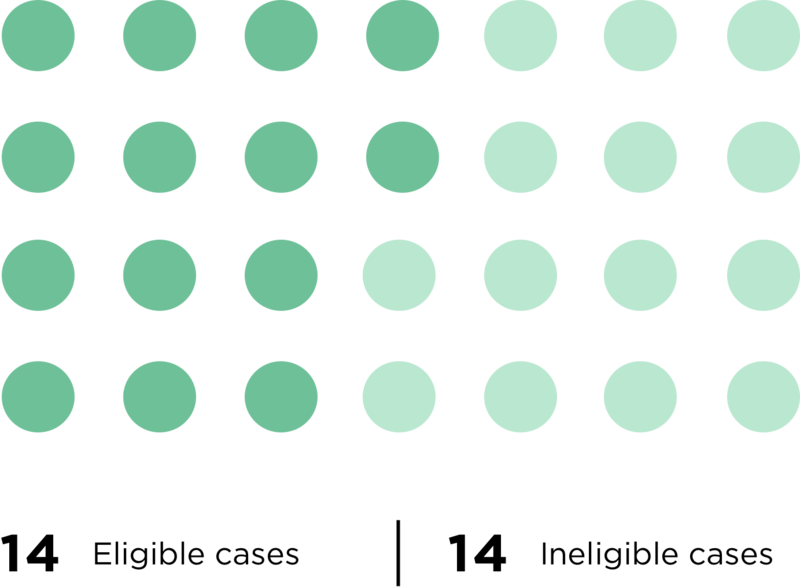 Of these, 14 were completed, with 4 cases referred to dispute resolution and 10 cases referred to compliance. Seven assessments were ongoing at the end of the fiscal year. 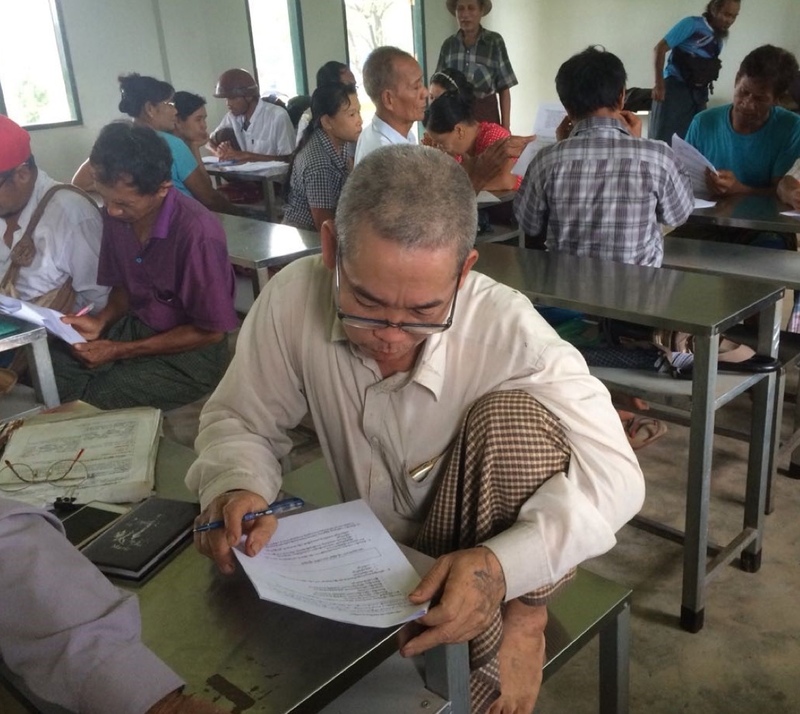 CAO assessed a complaint for the first time from Myanmar (see highlight). This year, CAO received its first complaint from communities in Myanmar regarding a new agrochemical plant supported by IFC. The complaint raises concerns about the impact of the project on local water sources and lack of consultation and information disclosure regarding construction of the factory with local communities. During assessment, the parties agreed to address the issues through a dispute resolution process, which is now underway. CAO meets with community members near Hmawbi to build capacity ahead of the dispute resolution process, June 2018 (CAO). During the assessment phase, CAO gathered information regarding the issues raised in the complaint by reviewing documentation provided by the Complainants and conducting field visits to the project-affected area, which encompasses nine villages. 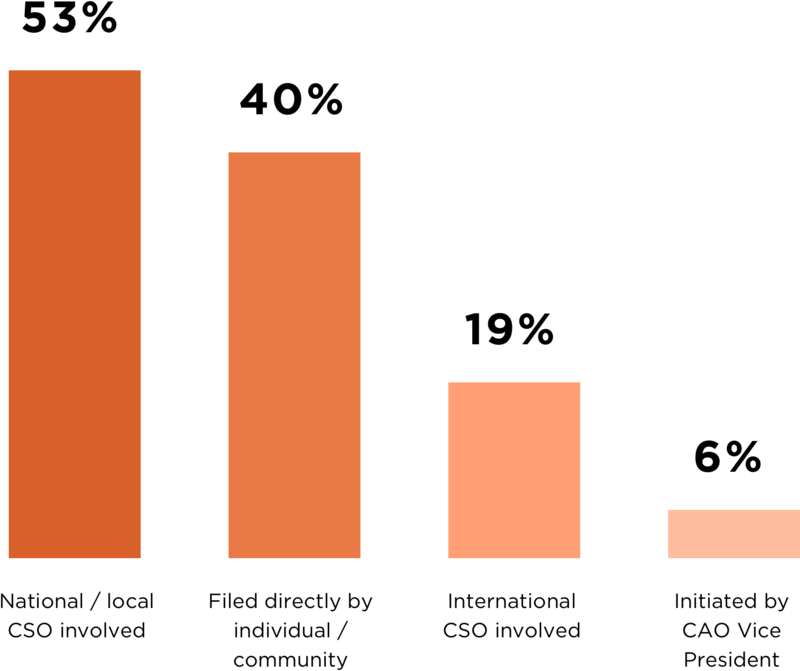 CAO handled 21 dispute resolution cases, for which full or partial agreements have been reached in 76 percent of cases. This includes new settlements reached in FY2018 and settlements reached in previous fiscal years. At the end of the year, 7 cases were in active mediation and 10 were in monitoring. CAO closed 3 cases after implementation of agreements and 1 case was transferred to compliance as the parties did not reach resolution. 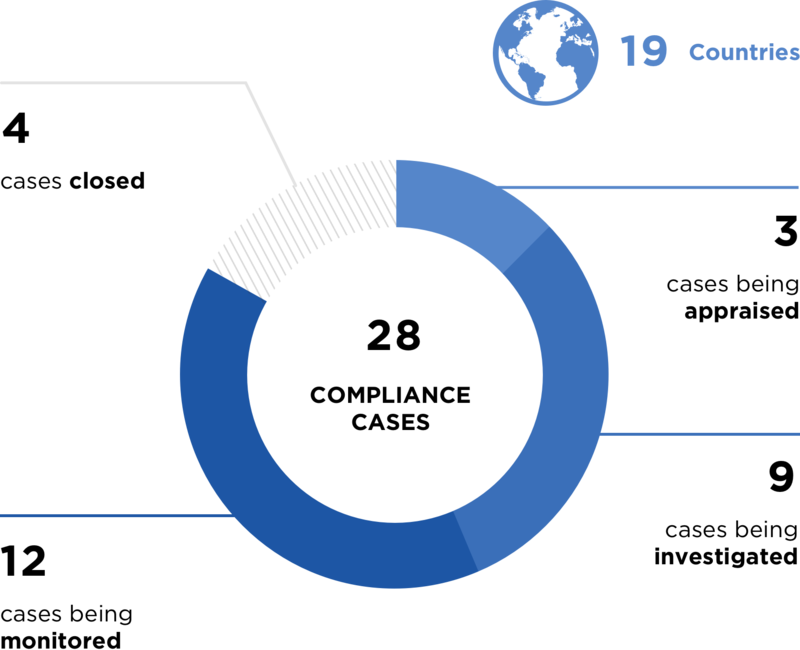 CAO handled 28 compliance cases, publishing 6 new investigations of IFC investments and closing 4 cases after monitoring outcomes. At the end of the year, 3 appraisals and 9 investigations were ongoing. CAO had an operational budget of $5,178,883 and drew down $175,000 of its non-conditional supplemental allocation of $475,000. In addition, CAO received $150,000 to hold a biennial Mediator Summit. CAO’s Environmental/Social Mediation and Conflict Resolution Contingency Fund helps CAO budget for extraordinary dispute resolution activities that extend over several years. Contributions of $800,000 from IFC and $200,000 from MIGA have remained unchanged since 2003. CAO drew down $83,382 of MIGA’s assigned contribution to the Fund this year. In total, CAO drew $859,424 or 97 percent of the total Contingency Fund.